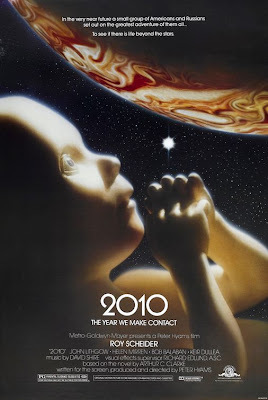 Chronological Snobbery: 2010 - The Year We Make Contact? Twenty five years ago, the poster for the 1984 film, 2010 (based on the novel, 2010: Odyssey Two, by Arthur C. Clarke), advised cinema goers that "[i]n the very near future a small group of Americans and Russians set out on the greatest adventure of them all . . . to see if there is life beyond the stars." That "very near future" has now arrived. What's in store for us this year?